Specialized in the Greater Toronto Area and throughout the Golden Horseshoe, Power Link is proud to be a leading courier service provider across Southern Ontario. 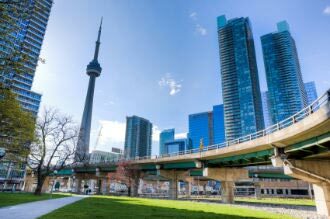 Our professional couriers are familiar with all major cities in Southern Ontario, knowing the most efficient routes. Using GPS and connected with our dispatch centre, our couriers are able to make deliveries quickly and on time.